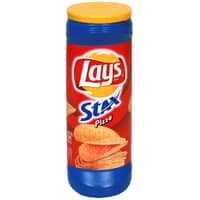 The Patriots just scored, which means we can score a coupon for free Lay’s Stax Crisps! Click here to visit the Lay’s facebook and click “Enter Now” on the game day kickoff tab. Then just fill out the form. According to their site, this should arrive in 6-8 weeks.